Author Guidelines for Tea with the "Other"
Heart Symbol Publishing is seeking writers for its first ebook! Imagine for one moment, that you could meet with someone who has a very different world view than you. This might be someone who does not see you as equal due to your race, gender, ethnicity, sexuality, religion or citizenship. This work titled Tea with the “Other,” will be a compilation of personal essays, poems and art; which while hopefully heartfelt and empowering, will also share the reality of being discriminated against, harassed, feared or bullied. Who is your “Other”? Who sees you as the “Other”? What would you like to share with the “Other” about your life experience? How have you been impacted by lack of understanding, prejudice and intolerance? How might you tell your story in a way to build compassion and understanding; or in a way that could potentially build a bridge to unity? Together, we can start to break down the wall of divisiveness that encircles us all! For more information about the scope of this project, please refer to our blog post “Seeking Authors for Tea with the “Other,” dated May 27, 2018. Anyone with an original published work who is the copyright holder of that work. 1200ppi – “Bitonal” images such as line drawings must be at least 1200ppi. Accepted formats: Word docs only. Ariel 12 font, double spaced, 1” margins throughout. Payment: No royalties will be paid for submissions. All profits will go to a nonprofit to be selected jointly by those contributing to the work. Editing: Heart Symbol Publishing reserves the right to edit any submission including headlines, text, and images. Submission for guest blog publication: open and continuous. No deadline. Submission deadline for book: November 1, 2018. For blog: 2 weeks to one month. 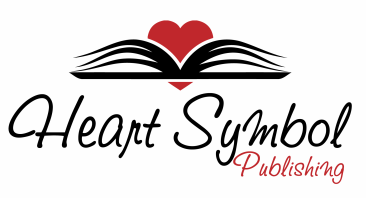 For book submission: Final entries will be selected by the Heart Symbol Publishing editorial board. Authors and artists will be notified of final status within 2 months of submission deadline. Publication agreement: All authors and artists will be required to sign a publication agreement.